Comic-Con down in San Diego is always a combination of fun and exhaustion. Here’s a few things I snagged. 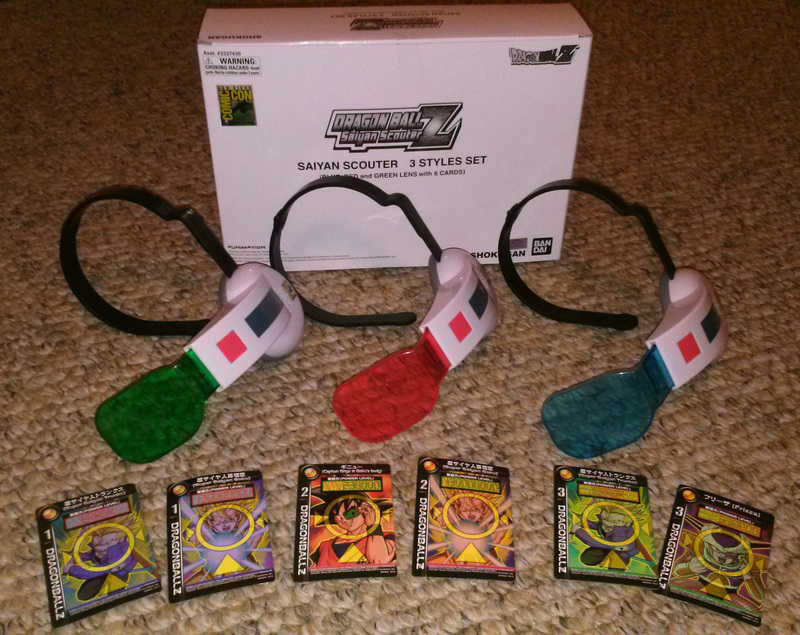 SDCC Exclusive Dragon Ball Z Saiyan Scouter. This had to be one of the most sought after exclusives courtesy of Bluefin Distribution. Cosplayers rejoice. Bandai S.H. Figuarts Dragon Ball Z Piccolo Special Color Edition was a Comic-Con exclusive. The Mighty Morphin Power Rangers Red Ranger got an early release at Comic-Con before hitting retail. 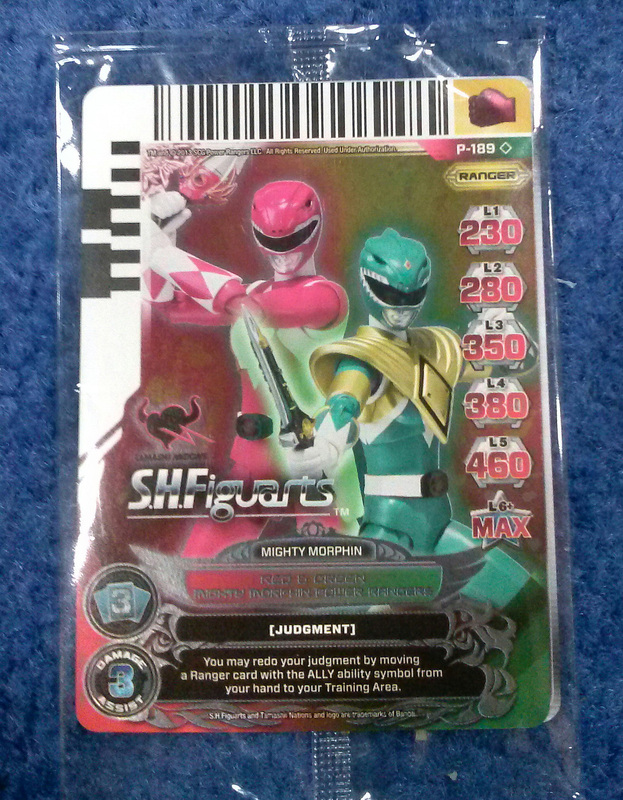 Bluefin was also giving an exclusive Power Ranger Megaforce card that can be used with a Gosei Morpher. 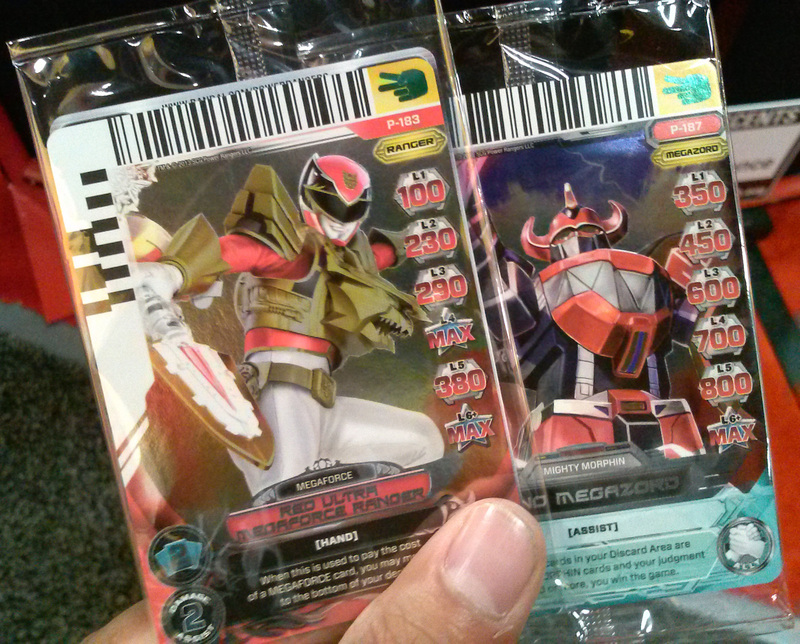 Not to be out done, the Bandai booth had 2 exclusive cards of their own. I snagged the exclusive SDCC Shazam action figure from Mattel. 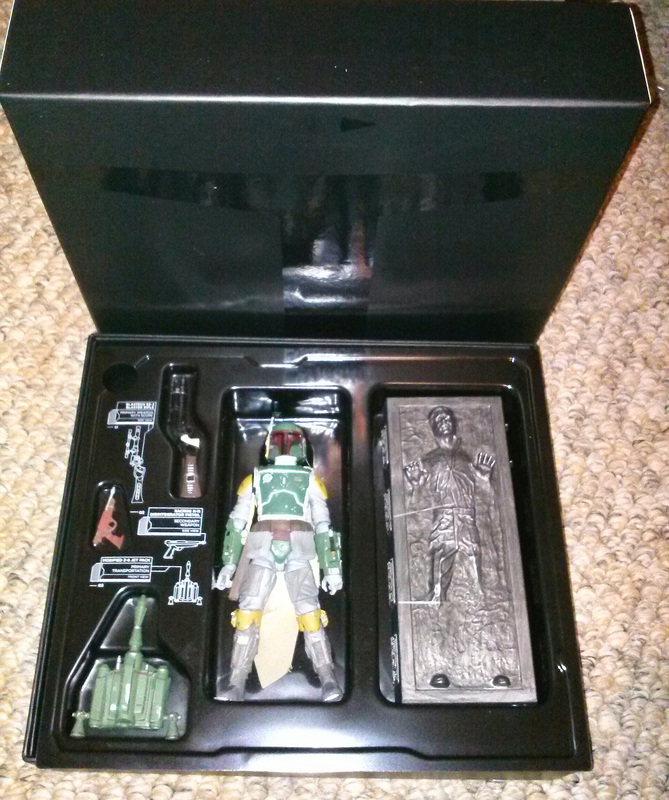 Got my hands on the SDCC Exclusive 6″ Star Wars Black Series Boba Fett with Han Solo in Carbonite. This one was a quick sell out. 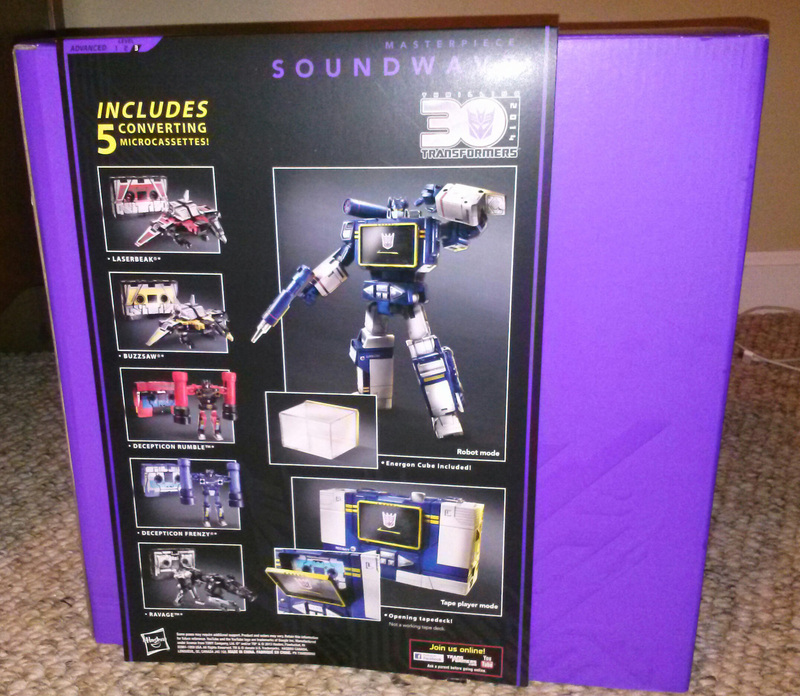 To my surprise, Entertainment Earth had Hasbro’s Transformers Masterpiece Soundwave on site. This was a tough one to get but I got in line early on Saturday for $120. 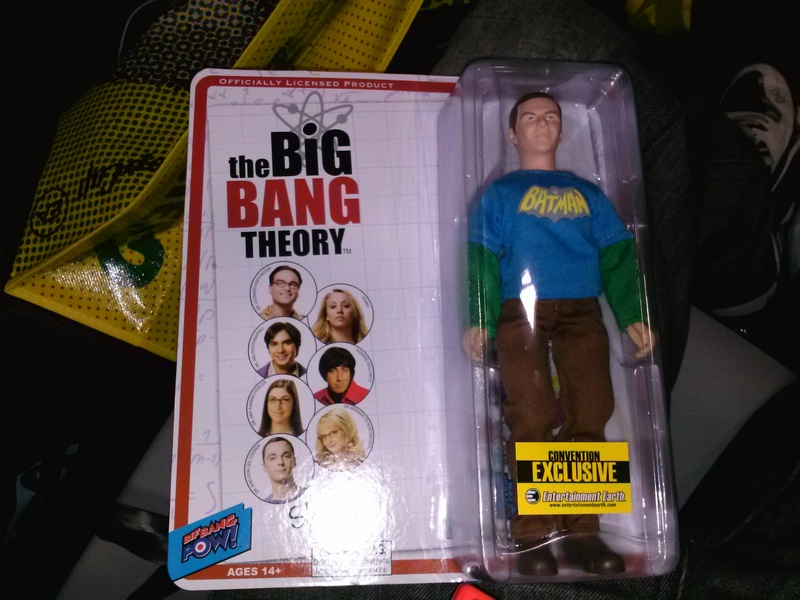 For my cousin, I snagged this Mego-style action figure of Sheldon from the Big Bang Theory TV Show. 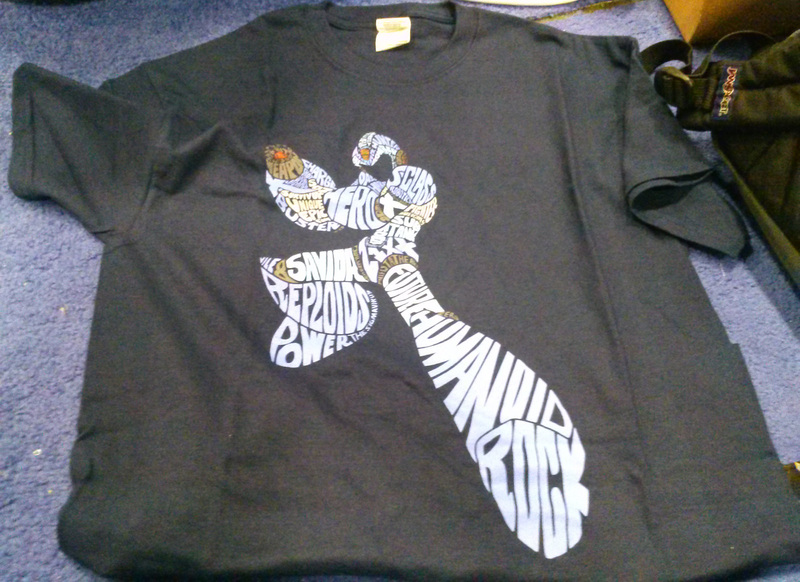 Featured an exclusive SDCC bag for Sheldon to carry around. The Plants vs. Zombies booth had a variety of free giveways like an exclusive tote bag, comic, pins and gummie candies. 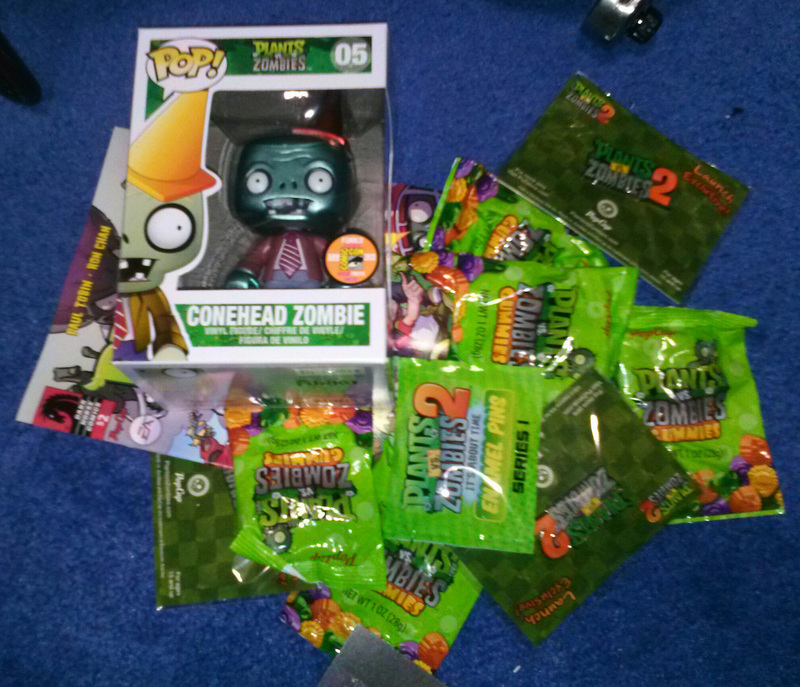 They had a very cool metallic Pop Vinyl Conehead Zombie figure I had to snag for my nephew. 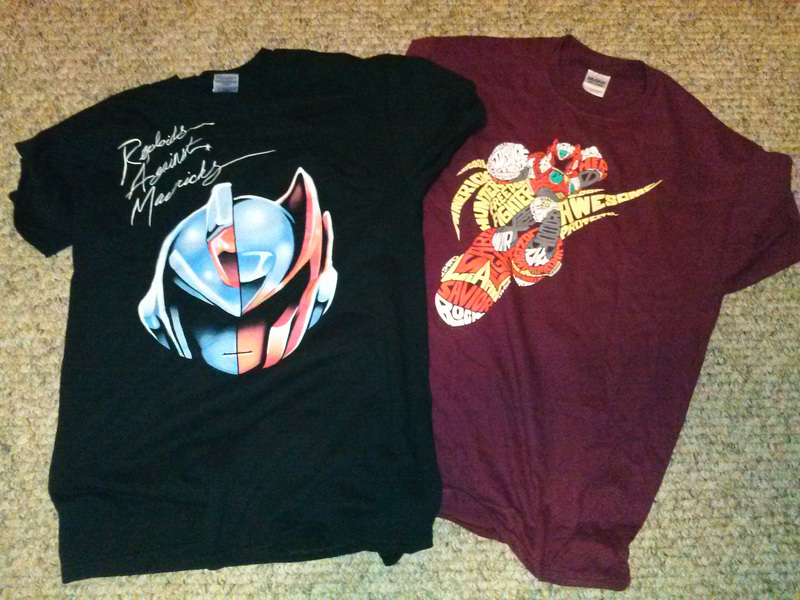 Other things I found where these really cool Mega Man X T-Shirts. While not an exclusive, I’ve had the hardest time tracking this figure locally. 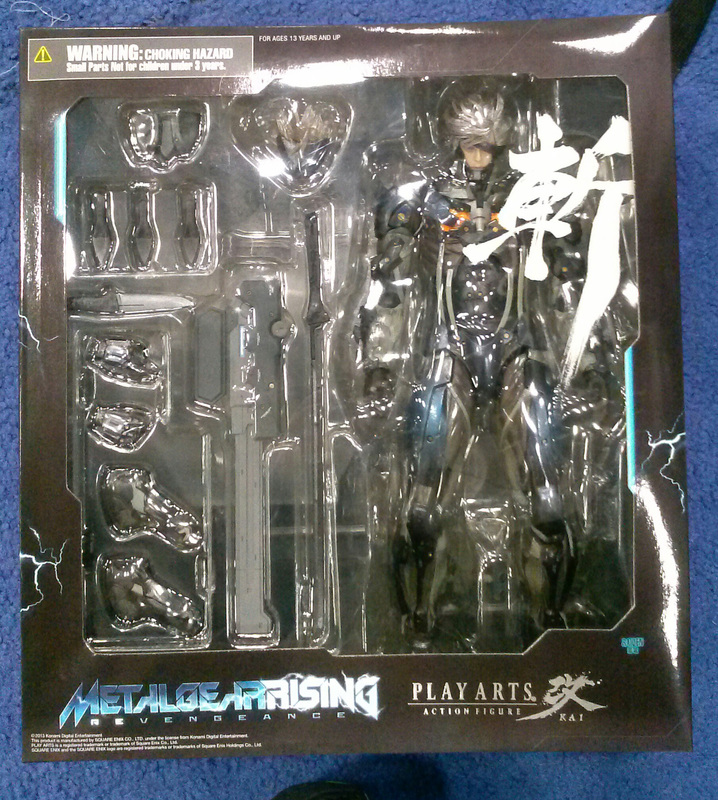 Nice to have plenty of options at Comic-Con to pick up the Sqaure Enix Play Arts Kai MG Rising Raiden. To my surprise, 1 dealer had a Hasbro Star Wars Black Series 1 Darth Maul 6″ Action Figure for sale. 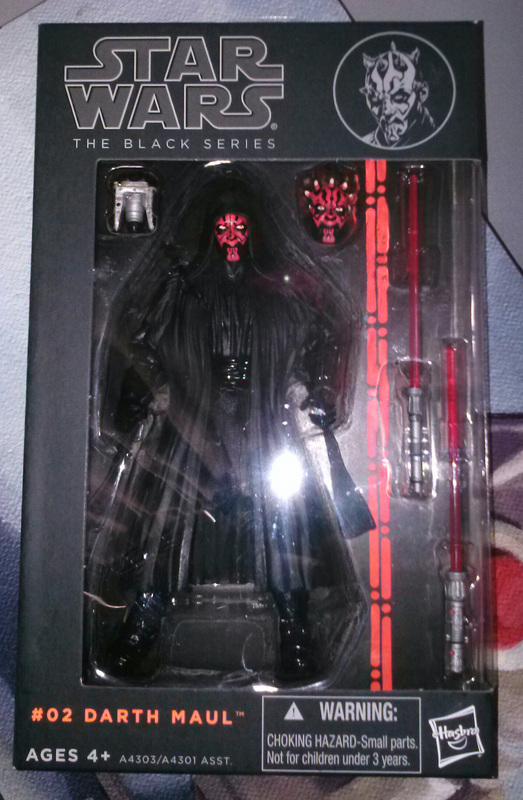 I’m a big Darth Maul fan and definitely overpaid for this figure ($45). 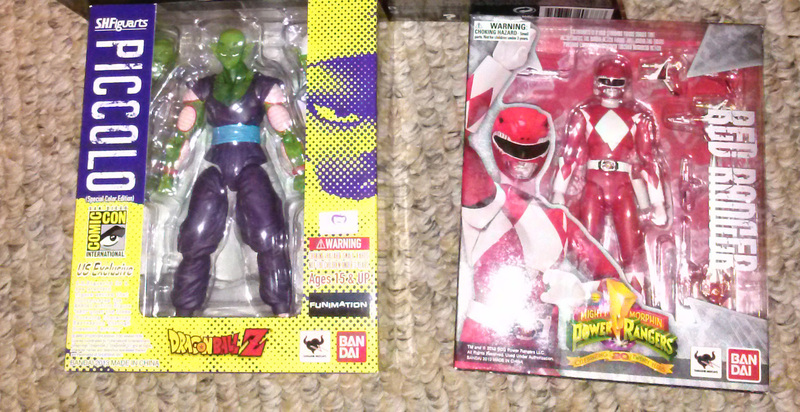 I’ll be doing video reviews on Piccolo, Red Ranger, Raiden and Darth Maul so stay tuned.